Sometimes it feels like I live with a teenager. I love D to death but he thought it was just hysterical when I used the phrase “salted nuts” when talking about my prep work. He actually found it so entertaining that I could not help but laugh. 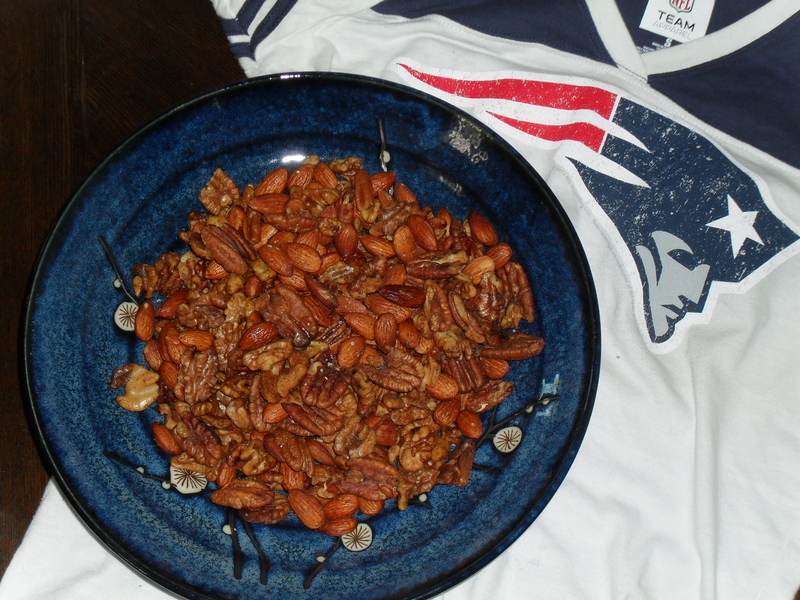 Anyway, these salted nuts made a great snack for the official start of Football season, try not to eat them all in one sunday though. 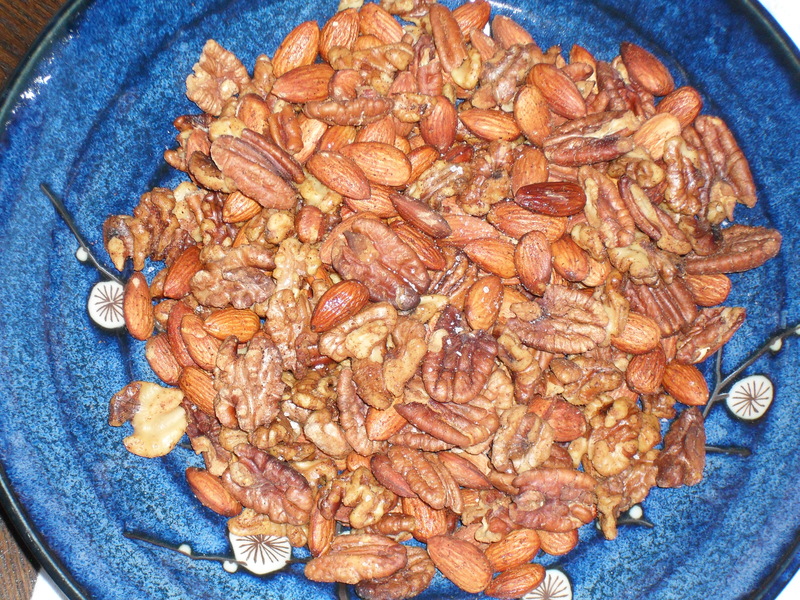 In my house, those Smokehouse almonds used to be a regular snacktime staple, until we started reading ingredients. MSG, maltodextrin, potassium sorbate…wtf is in these things? 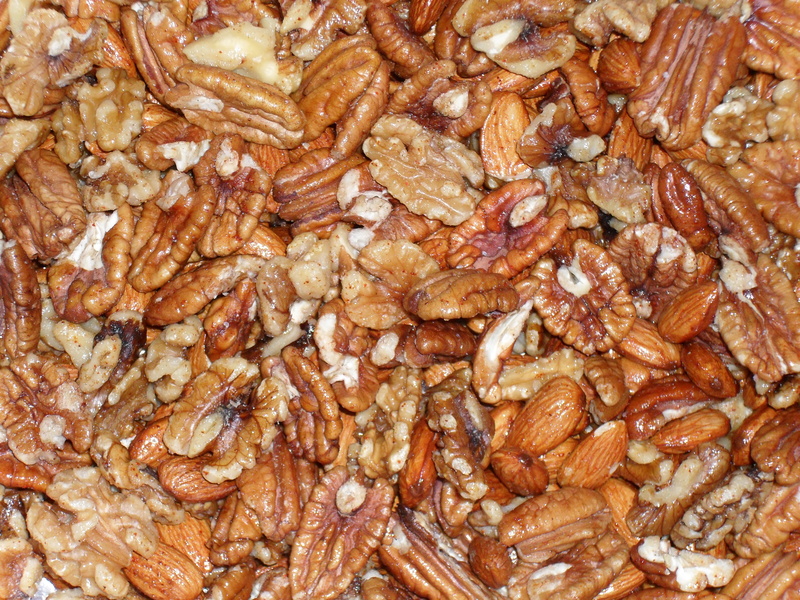 We decided to make our own smoked mixed nuts on the Weber 22.5 inch kettle with hickory smoke. Basically you just mix all of the ingredients together in a foil pan and put on the indirect side. How freaking easy is that? Next time you have a party whip a batch of these babies up, I will even let you take credit for coming up with this genius idea. You want to leave these on for 20-30 minutes and stir frequently. They will get a bit darker in color, which is fine…Turning black, is not. There is only a couple minute window between perfectly smoked and burnt so keep an eye on these. Also, if you give them adequate time to cool before serving it lets them get nice and crunchy again.